Some of the factors that you should always bears in mind when buying any cotton candy maker, is affordability and purpose. One always thinks about what the product will be used for and is it worth the cost. Cotton candy makers are definitely guarantees a fun experience for the whole family when it comes to being able to make quick, sweet treats at an affordable price. 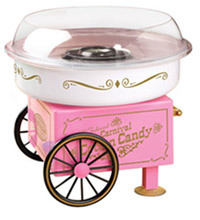 Nostalgia Electrics PCM305 Vintage Cotton Candy Maker just has that classic carnival look which is reminiscent of the old days, and eliminates any necessity for purchasing a cotton candy cart or stand at an additional cost. 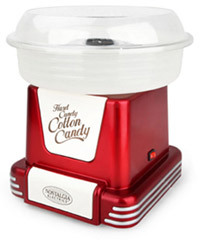 By far the most popular due to its retro design, the Nostalgia Electrics PCM805RETRORED Cotton Candy Maker is part of the greater Retro collection from Nostalgia Electrics. This will also go well with the Retro Hot Dog Maker. 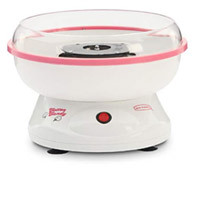 The West Bend Back to Basics Cotton Candy Maker is a simple design with functionality as its first priority. A clean but effective design with a no fuss look and good operation. 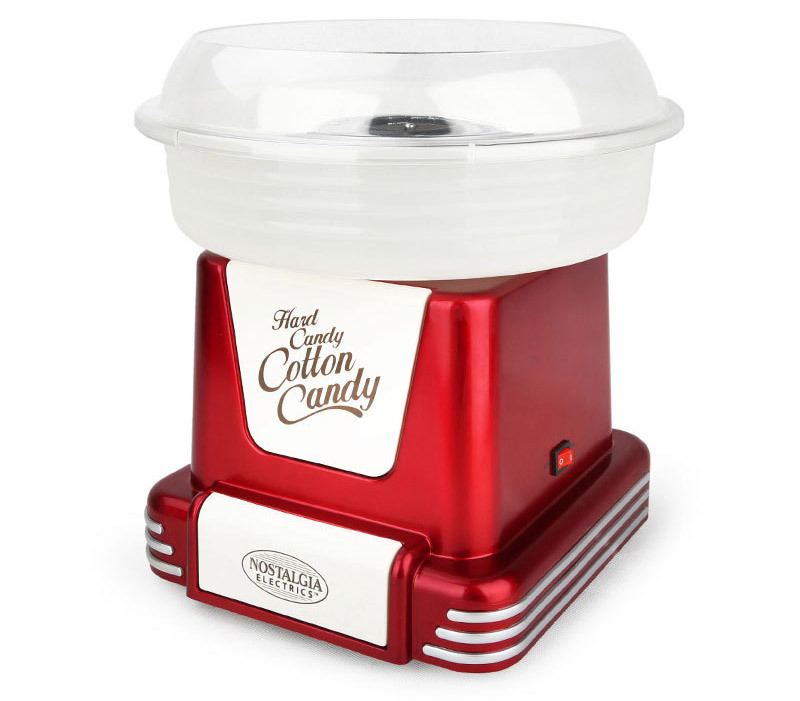 When comparing affordability, the Nostalgia Electrics PCM305 Vintage Cotton Candy Maker is offered at the lower price point between the three machines, which makes it the affordable option for those who prefer to stick to their budget plan, but are looking to treat themselves. However, although lower priced goods do not always guarantee quality, this device comes with the option to register the warranty which gives you piece of mind should there be any wear and tear with regards to the parts in this machine. With regards to assembly and disassembly of these cotton candy makers, the Nostalgia Electrics PCM305 Vintage Cotton Candy Maker is the easiest to disassemble. This makes washing this device a hassle-free experience for those less patient individuals among us, as these machines need to be washed regularly due to the sugar build up within the bowl. All three of the machines are able to produce cotton candy from hard candy, but the West Bend Back to Basics Cotton Candy Maker requires the hard candy to be finely crushed before it is poured into the bowl, which means that a bit more elbow grease will be necessary. The West Bend Back to Basics Cotton Candy Maker is the smaller device between these machines, which allows it to take up less kitchen counter top space or storage space, which is a great factor for those homes with minimal space. It also weighs the least, which allows one to easily move the device when it needs to be packed away. Unfortunately, this does mean that the diameter of the bowl is smaller which restricts the sizes of cotton candy that this machine is able to produce. However, it is important to bear in mind that this machine is designed to meet the demands of everyday household usage and should not be used at school yard markets. This means that one may not be able to use these cotton candy makers to sell any cotton candy at school events as this may put too much pressure on the machines which may cause them to malfunction.